Rose pruning ensures that plants grow vigorously and flower well each year. There is great diversity among patio and miniature roses, but most require only light pruning. Roses can be pruned during late winter when growth is just resuming, usually in mid-February in the south, but wait until March in northern and colder areas. Deadheading is carried out in summer after flowering. These are compact bushes with tight clusters of small flowers. Prune these is the same way as for full-sized floribunda (cluster-flowered) roses, but on a smaller scale. However, do not cut back newly planted dwarf roses too severely. These roses often produce a mass of twiggy growth. After this unproductive wood has been removed, the main stems should be reduced by about one-third to a healthy bud or lateral. Remove entirely any over-vigorous shoots that spoil the shape of the bush. These are very dwarf roses, often no more than 25cm (10in) tall. 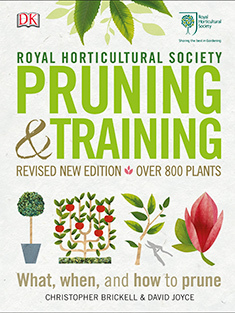 Pruning is usually limited to the shortening back of any weak growths, removal of dead or twiggy growth, and occasional pruning back of older growths to near soil level to encourage vigour from the base. Wear gloves when handling thorny roses and keep a watch when you are pruning for the following pests or diseases while pruning; rose aphids, rose large sawfly, rose leaf rolling sawfly, rose black spot, rose dieback, rose powdery mildew and rose rust.